NEW YORK AND LOS ANGELES, August 30, 2013 - LexisNexis® Legal & Professional, part of Reed Elsevier, and Internet Brands® today announced they would form a joint-venture, bringing together the strengths of the LexisNexis® Martindale-Hubbell® internet marketing solutions business, including the leading Lawyers.com consumer website, with Internet Brands’ leading online marketing services for lawyers through its Nolo legal division. The joint venture will continue to offer its customers a broad suite of marketing solutions, including website hosting, lead generation, and online listings. 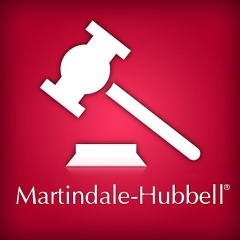 LexisNexis will contribute its Martindale-Hubbell online marketing solutions and Lawyers.com businesses. Internet Brands will utilize its technology platform and online marketing expertise to manage the joint venture. The transaction is expected to close during Q4 2013.